62mm 3-Stage Collapsible Rubber Hood for lens with 62mm screw thread UK SELLER!! All 82mm filter size lens. -Lens hoods are primarily designed to prevent unwanted stray light from entering the lens by extending and shading the end of the lens. -Enables you to shoot towards the light source,and being reflected inside the lens,without excessive flare. Surface and ring. The bayonet mount design makes it firmly on the lens. HB-1 Lens Hood for Nikon AF 35-70mm f/2.8 Lens. 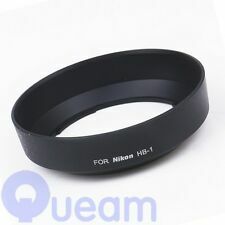 HB-1 Lens Hood for Nikon AF 35-70mm f/2.8 Lens x1pcs. Nikon AF 28-85mm f/3.5-4.5. PARALUCE A BAIONETTA COMPATIBILE CON I SEGUENTI OBIETTIVI Compatibile con EW-73-b (muto nero). EF-S 18-135mm f/3.5-5.6 IS US. EF-S 17-85mm f/4.0-5.6 IS USM. EF-S 17-85mm f/4-5.6 IS USM. Dai un occhiata alla nostra PROMOZIONE! Lens hoods are primarily designed to prevent unwanted stray light from entering the lens by extending and shading the end of the lens. Nikon 28-70mm f/2.8 D AF-S. Hood type: HB-19. Hood material: Plastic. Normal Angle Lenses with 49mm filter thread. Thread: 49mm. The main function of the lens hood is to shade the lens from stray light, improving your contrast and image quality. Shades lens from stray light, improving your contrast and image quality. Hard Tulip Shaped & Soft Rubber Collapsible Hoods! Paraluce obiettivo Canon EW-78B II adatto a. 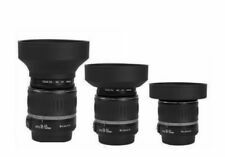 All lenses with 62mm filter thread. Thread: 62mm. Just screw the base of the hood onto your lens 62mm filter thread or onto a filter if fitted. The main function of the lens hood is to shade the lens from stray light, improving your contrast and image quality. B W Sonnenblende aus Kunststoff (screw-in lens-hood) passend für Objektive mit einem Filtergewinde von 35,5mm. B W Gegenlichtblende 35,5mm. Zustand : gut. - Höhe ohne Gewinde ca. 22mm. - Aussengewinde 35,5mm. Lens Hood for Yashica TLR cameras. This Hood will work with ALL Yashica TLR Cameras that have Bayonet Mount in front of the "Taking" lens. This includes Yashica Mat, 124, 124G, D, EM, LM, 12, 24, 635 and many other models. It will also work with ALL the Rolleicord TLR cameras that have Bayonet Mount in front of the "Taking" lens since ALL Rolleicords have the same Bayonet-I mount. Rolleiflex TLR cameras usually have Bayonet-I, II or III mounts. This Hood will work on all Rolleiflexes that have Bayonet-I mount in front of the "Taking" lens. This Hood will also work on Minolta Autocord TLR cameras. It is a brand new Bayonet type plastic Hood. It is also known as B-30 Hood. This lens hood and cap fit the Fuji XF 18mm f2 and 35mm f1.4 lenses. You can leave the hood permanently attatched, and the lens cap attatched to the hood. This lens hood and cap fit the Fuji XF 35mm f2 R WR lens. You can leave the hood permanently attatched, and the lens cap attatched to the hood. PARALUCE LEITZ PER OBIETTIVO SUMMICRON R 50 MM. The main function of the lens hood is to shade the lens from stray light, improving your contrast and image quality. All lenses with 52mm filter thread. Shades lens from stray light, improving your contrast and image quality. B W-Sonnenblende 35,5mm. Normal gebrauchter Zustand, mit originalem Lederetui. Normally used condition. With matching B W leather keeper. 52mm Front Cap fitting directly onto the hood. Lens hoods are very useful lens accessories, as they keep stray light away. from the lens surface making sure that images are sharp and contrasty. Gegenlichtblende für Nikon (ersetzt HB-8). Objektivfilter können natürlich weiterhin verwendet werden. Nikon AF 18mm f/2.8D. Nikon AF 20-35mm f/2.8D. Material: Kunststoff, matt-beschichtet um Reflektionen bzw. 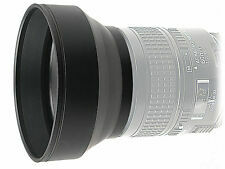 Designed to fit the Olympus M.Zuiko Digital ED 40-150mm 1:4.0-5.6 Rlens. You will not be disappointed with this item. 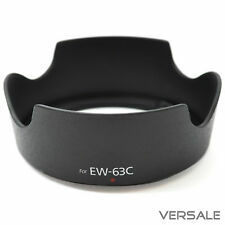 Olympus LH-61D Compatible Lens Hood. 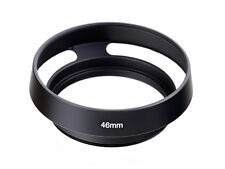 Sigma Perfect 52mm Lens Hood. The main function of the lens hood is to shade the lens from stray light, improving your contrast and image quality. o Shades lens from stray light, improving your contrast and image quality. o Made of high quality aluminium alloy for extra durability. 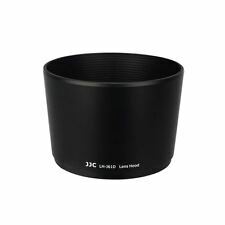 Genuine Panasonic lens hood for Panasonic HC-WXF991, HC-WXF991K, HC-VX981, HC-VX981K, HC-VX870, HC-VX870K, HC-WX970 and HC-WX970K Camcorders. Thread: 72mm. The main function of the lens hood is to shade the lens from stray light, improving your contrast and image quality. Shades lens from stray light, improving your contrast and image quality. Will accept a 55mm clip on cap. Black Anodised finish with a matt finish to reduce reflections. For Panasonic H-HSA12035 Lumix G X Vario 12-35mm / F2.8 II Asph. Zoom Lens.